Sleeve shows 'Made in England' statement and both labels show a 'Made in France' statement. The b-side "version" is not the Weatherall, MAW, or Flowered Up. It's a unique mix more in the Jamaican dub style than the others ("I have a friend - friend - friend") and features the melodica line; its only flaw is its relative brevity. 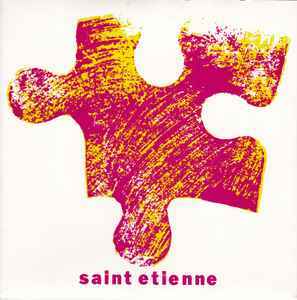 So is the 12" side The Official Saint Etienne World Cup available on CD anywhere? I thought the remasters should have picked it up.